On Veterans’ Day at the Illinois State Fair, a number of pieces of Veteran’s legislation were signed into law by Governor Rauner. Representative Bourne was a supporter of one new law that will help troubled Veterans get their lives back on track. This law will require the Chief Judge of every judicial circuit in Illinois to establish a Veterans and Service Member Court program. This bill was an initiative of the Montgomery County Veterans’ Assistance Commission and brought to Bourne’s attention at her Veteran’s Advisory Board meeting by this local organization. Dave Strowmatt, Superintendent of the Montgomery Co. VAC, stated that their reason for bringing this to the General Assembly was because their organization saw a need for better access to the courts. The local VAC then worked with lawmakers, including Bourne, to get the expansion in an effort to help veterans in their time of need. The Court focuses directly on the needs of former and current members of the armed forces. 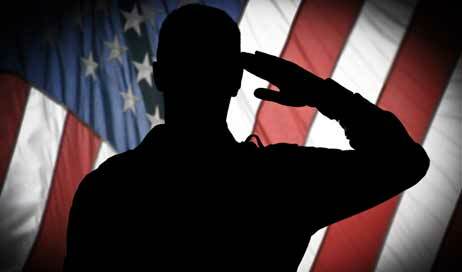 Currently, there are 12 Veteran Court programs in Illinois. All are limited to veterans with non-violent records who are struggling with substance abuse or mental health issues. Veterans who qualify and successfully comply with court orders get the treatment they need and can have charges dismissed. As of 2014, problem-solving courts including Veterans Treatment Courts kept 1,200 offenders out of prison, saving the state of Illinois nearly $20 million. Senate Bill 3401 which will assist veterans in their effort to receive help for mental health issues by amending the Veterans and Service Member Court Treatment Act to allow Veteran’s Assistance Commissions (VAC) to provide assessments, mentoring, and treatment programs to veterans. House Bill 4344 that creates the Heroes Way Designation Program Act. It is a way to honor service members who were killed in action by allowing a relative to apply to have an honorary sign with the name of the service member erected along designated Illinois roads.